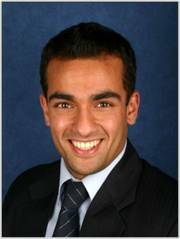 Bio: Rohitesh Dhawan is Resource Economist at KPMG based in Johannesburg, South Africa. He is responsible for advising South African and multinational companies on sustainability issues, with a focus on climate change. He has experience in the mining, transport, infrastructure and financial services industries. Rohitesh holds an MSc in Environmental Change and Management from the University of Oxford and is a member of the Advisory Committee on Climate Change of the South African National Business Initiative. Episode Summary: Rohitesh Dhawan talks about new developments in the international climate policy arena, as well as South Africa’s new domestic carbon tax.